How Seriously do you Take Your Selfies? In fact Generation #Selfie has taken over the world! You can walk around any city in the world to see a baying crowd of tourists with selfie sticks. Let’s be honest, they’re great! But remember how many pictures you’ve taken, how many times you posed until the picture was just right? We’re becoming obsessed with perfecting our selfies to the extent that some people are even changing the way they look! According to the American Academy of Facial Plastic and Reconstructive Surgery (AAFPRS), our selfie obsession is leading more and more people to seek plastic surgery. In fact their 2014 study found that one in three facial plastic surgeons saw an increase in requests for procedures purely due to social media. That’s crazy! If you have $1,000 to spare and happen to be in Asia, you could even buy a selfie camera that makes you look like you’ve had plastic surgery. It allegedly slims your face, enlarges your eyes, removes wrinkles and even whitens skin tone! In Mandarin, it’s known as zi pai shen qi, literally meaning ‘Godly tool for selfies’. This worries us, a lot. We strongly believe in natural beauty, so the fact that people in their late teens are considering invasive plastic surgery just to enhance a social media profile, is madness. Thankfully we’ve got a few tricks up our sleeve that will boost your confidence on your next selfie, without the need for drastic measures. 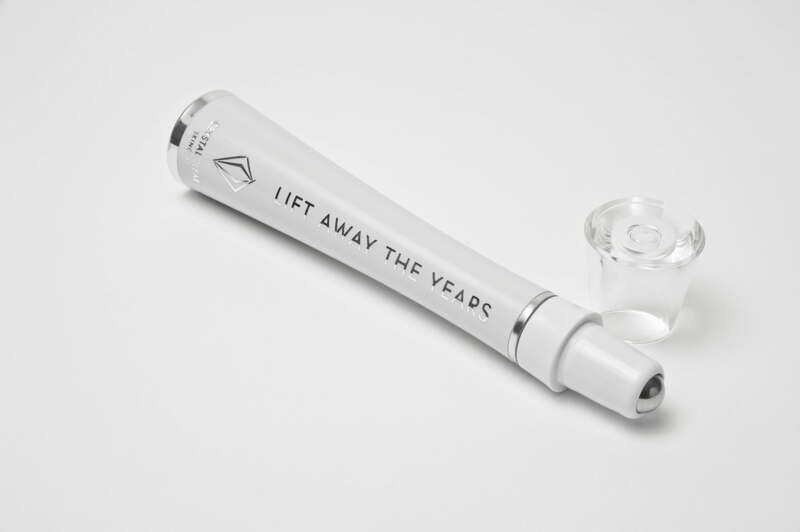 We created an incredible little beauty gadget called Lift Away The Years. It reduces the appearance of fine lines and wrinkles, whilst also works to instantly firm and tone the skin and gives instant contours and cheekbones. A selfie saviour! If you have dark circles, wrinkles or puffiness around your eyes, we’ve got the perfect solution. Rollway The Years Eye Serum has a powerful serum and rollerball that pep up the eye area. Just do a few sweeps a day and you will never need another filter! If it’s a flawless and brighter complexion that you’re after, why not give Illuminate a go? This moisturiser hydrates, brightens and firms dull, lacklustre skin. You can also use it as a make-up base! If it’s pigmentation that’s holding your perfect photo back, then try Skin Brightening Complex. Not only does it give your skin instant radiance , but its clever ingredients reduce pigmentation and even out skin tone. Feeling like an even more luxurious selfie boost? Our Oxygen Therapy salon facials visibly plumps fine lines and wrinkles, banishes blemishes with the anti-bacterial properties of pure oxygen, and gives skin a ‘lit from within’ glow. Oxygen Therapy treatments are used by the likes of Madonna and Colin Firth to keep them looking gorgeous in those red carpet photos. Check out all of our famous skin treatments here, regardless of your skin type, we’ve got you covered!